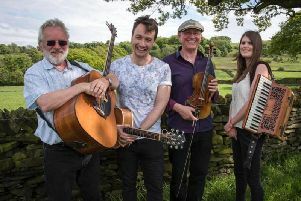 Leading tribute bands and Derbyshire groups will set a town rocking at a festival dedicated to music and merry-making. Buxton Rocks is a live indoor music festival which takes place at the Octagon in the town’s Pavilion Gardens on Saturday, March 28. The line-up includes Jilted Generation (Europe’s No1 Tribute to The Prodigy, Ohasis (Oasis), Black Ice (ACDC), Pearl Scam (Pearl Jam), Slade UK (Slade and The Darkmess (The Darkness) . The Indianna’s, Sovereign, Turtle Zed and MELT complete the line-up of live music. The 12-hour festival starts at 11.45am and the last entry will be at 9pm. Tickets £12 and £15. The minimum age for admission is five years old.